Footrests are not just a decorative ‘full stop’ on which to place your feet. They provide a surface on which to press your feet against to leverage your paddle stroke so that you can really put your back into it when you paddle with effort. 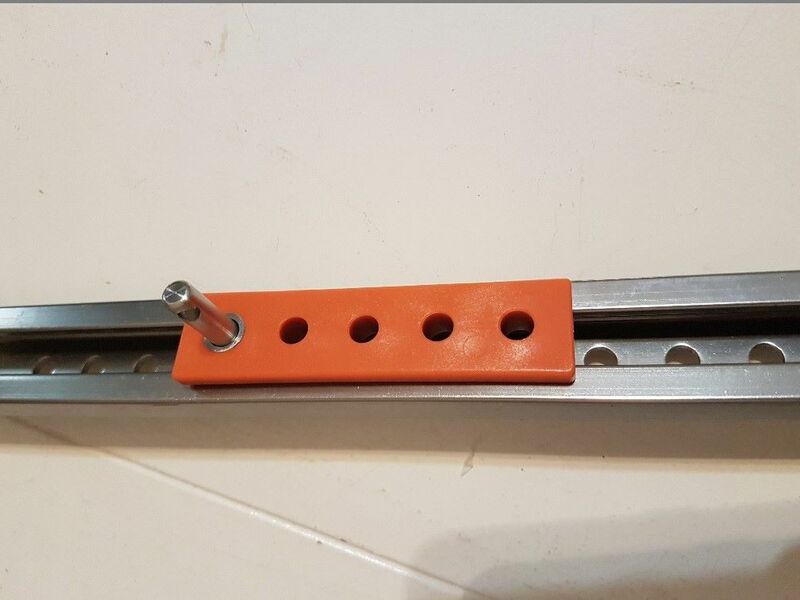 Our footrests run along an aluminium rail with sprung pins to hold them in place. They can be easily adjusted for paddlers of different height. Position the footrests so that your knees are slightly bent. One of the big differentiation factors of our footrests is that the left and right footrests are connected to each other. This creates a much sturdier setup that is simply more fun to use. The surfaces on which you place your feet have been textured to prevent slipping. The overall surface of the footrests is also one of the largest in the industry, making for a comfortable and safe paddling experience. 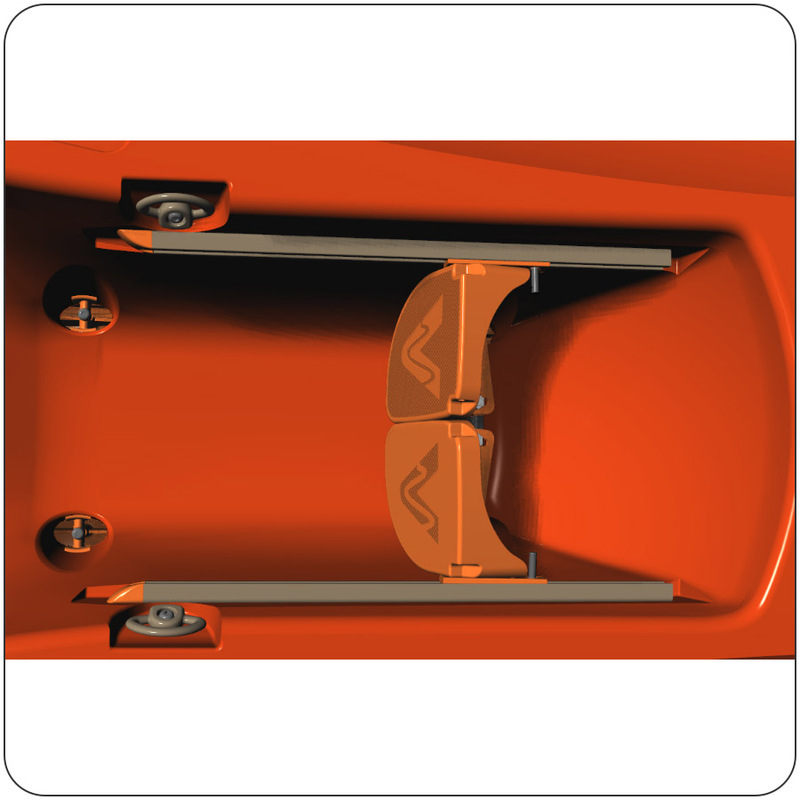 On our kayaks that are fitted with rudders, an additional joint on the footrest enables steering. 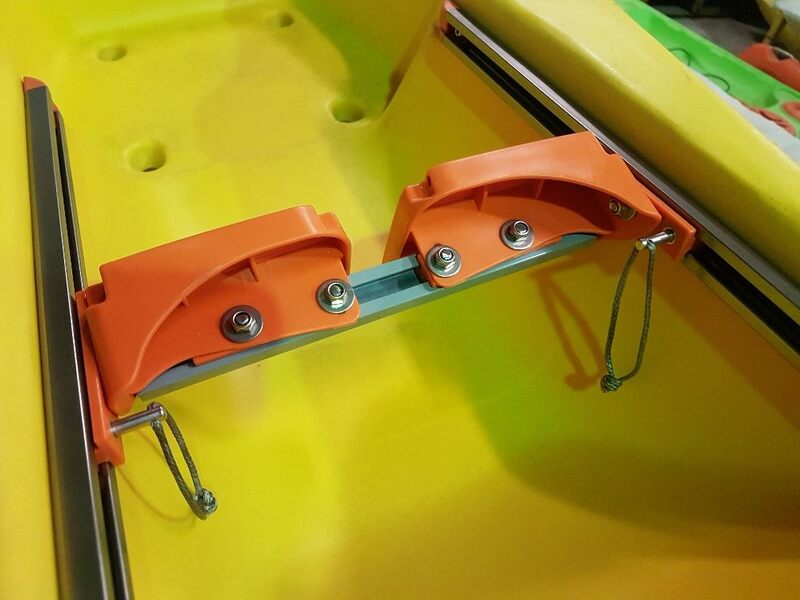 If all the info above doesn’t convince you, consider this: the footrests have not only been designed for our recreational kayaks, but also for the Usutu, our whitewater sit-on-top. This means that it is designed to be tough, robust and safe. I have just received the first production footrests that I designed for our new sit-on-tops. The footrests shown on the Vagabond website were all 3D-printed prototypes, now I have the real deal in my hands. My aim with this footrest system was to create an easily adjustable, very robust system that is also lightweight and cool looking. These are the typical opposing priorities that a designer has to deal with, of course. From a technical point of view, I definitely succeeded with this design. From an aesthetic point of view, you be the judge. 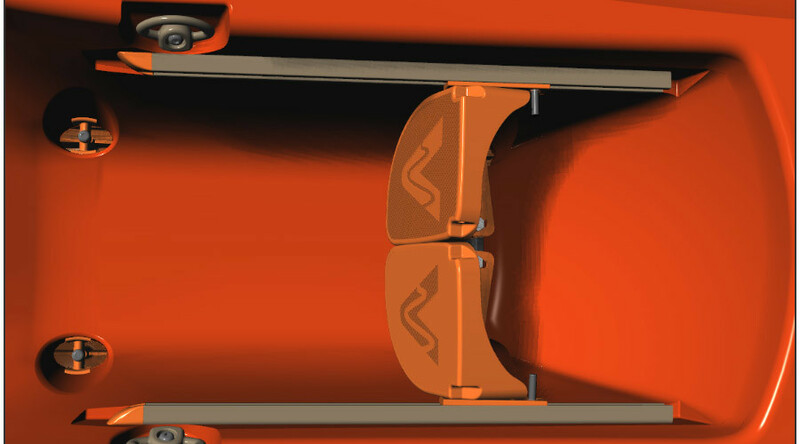 The first main component in the system is the set of extruded, anodised aluminium-alloy rails. 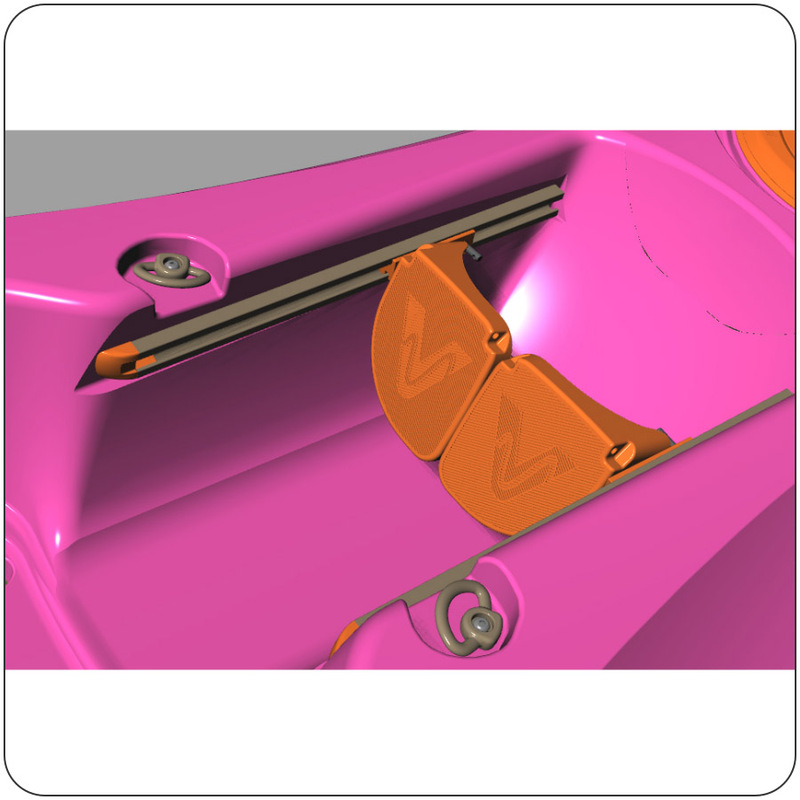 I designed the rail profile to work with the footrest but to also accommodate many other fittings that can be attached to it. 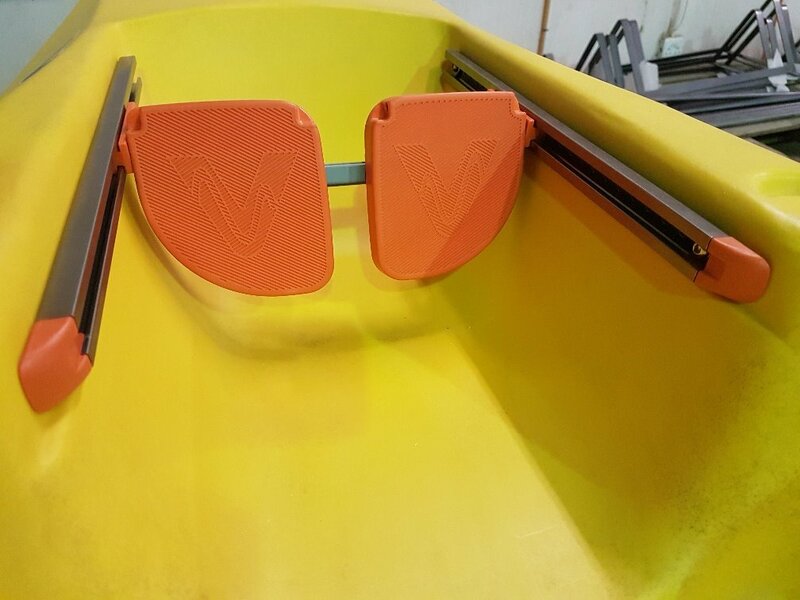 You will see the same rail profile on different places on all our kayaks. 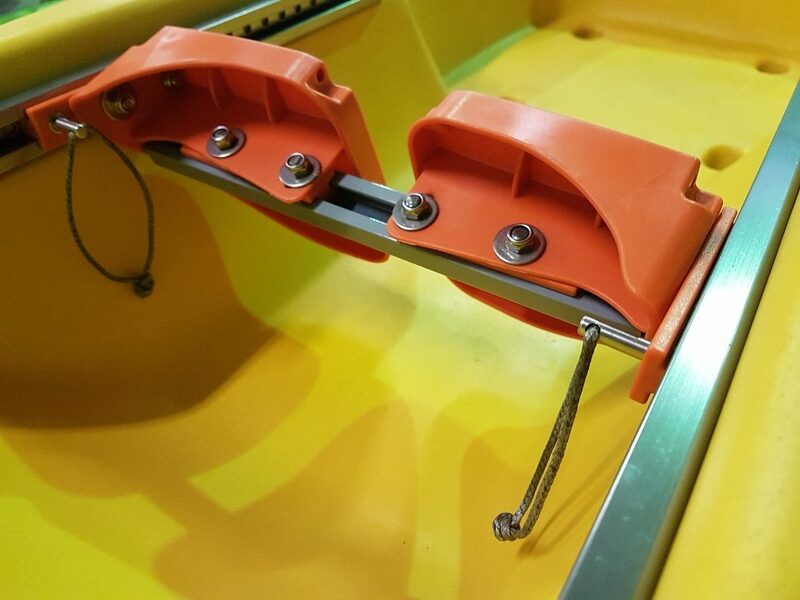 Apart from the two long rails on on the sides of the footrest, in which the footrest slides forward and backwards, there is also a short rail that connects the left and right footrest. This adds a lot of stability and strength to the system without really adding weight. The second main component is the set of footrests. These footrests have a fuller profile than most on the market, making them really comfy under your feet on long paddle sessions. 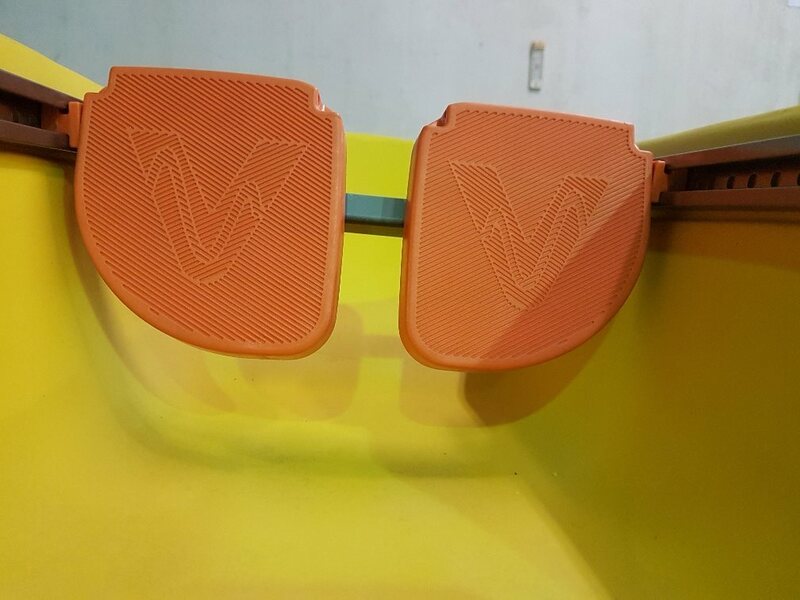 The non-slip surfaces have the Vagabond “V” embedded, which I think looks pretty cool. 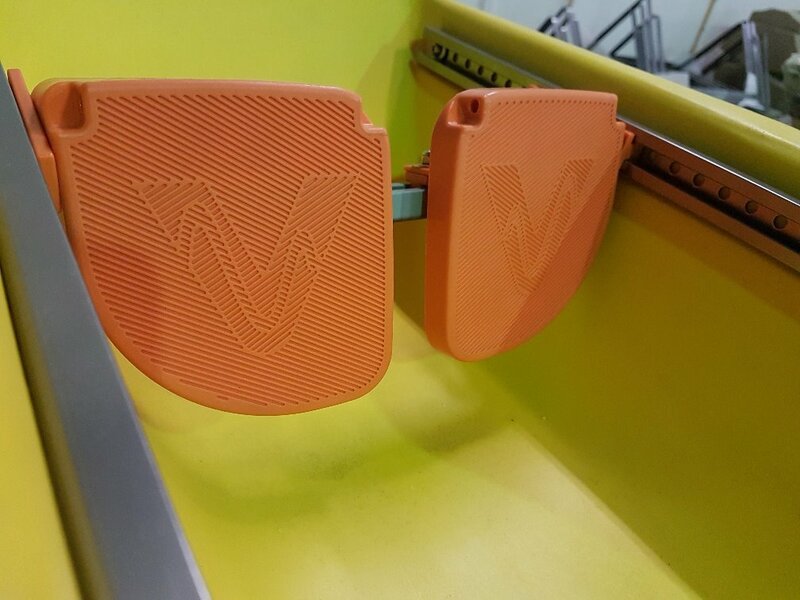 The footrests are injection moulded from tough Nylon 6 with a bit of glass-fill added for stiffness. The next component is the set of sliders. This is really the key component as it connects all the pieces together. This is also injection moulded from Nylon 6. Then there are the spring-loaded, stainless steel pins that lock the footrest in place. The pins slide in stainless steel bushings that are moulded into the sliders. A rope loop is attached to each pin, just long enough that you can grab both with one hand to pull the pins together, leaving your other hand free to move the footrest forward or back. 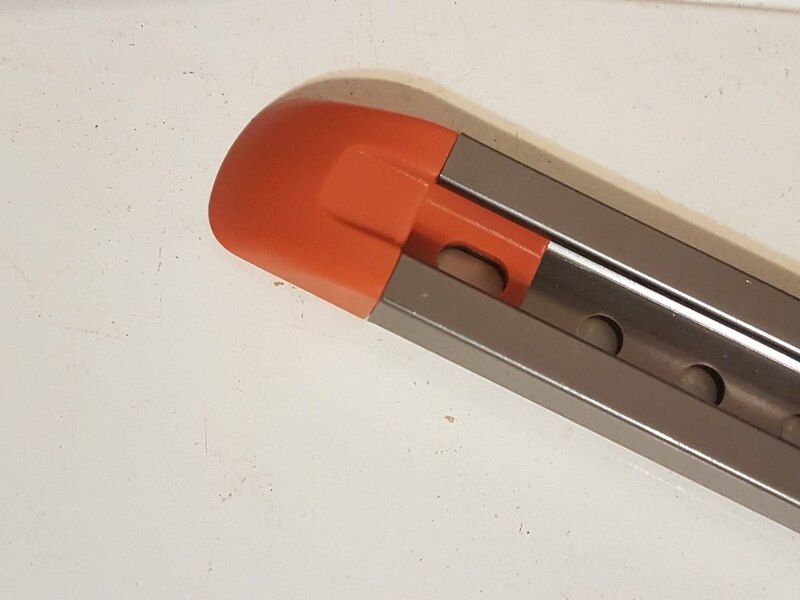 The final little component is the rail end caps. 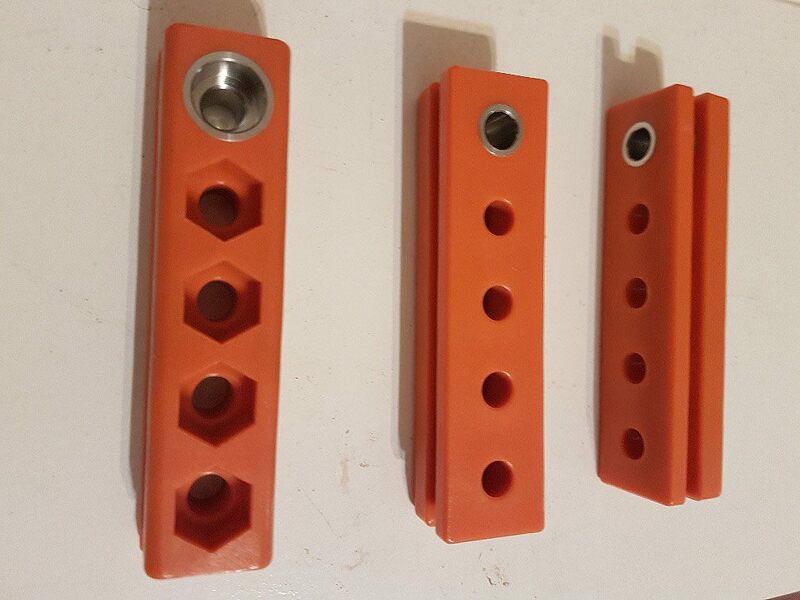 Apart from finishing off the system to look neat, they also protect your legs from getting chowed by the rail ends. 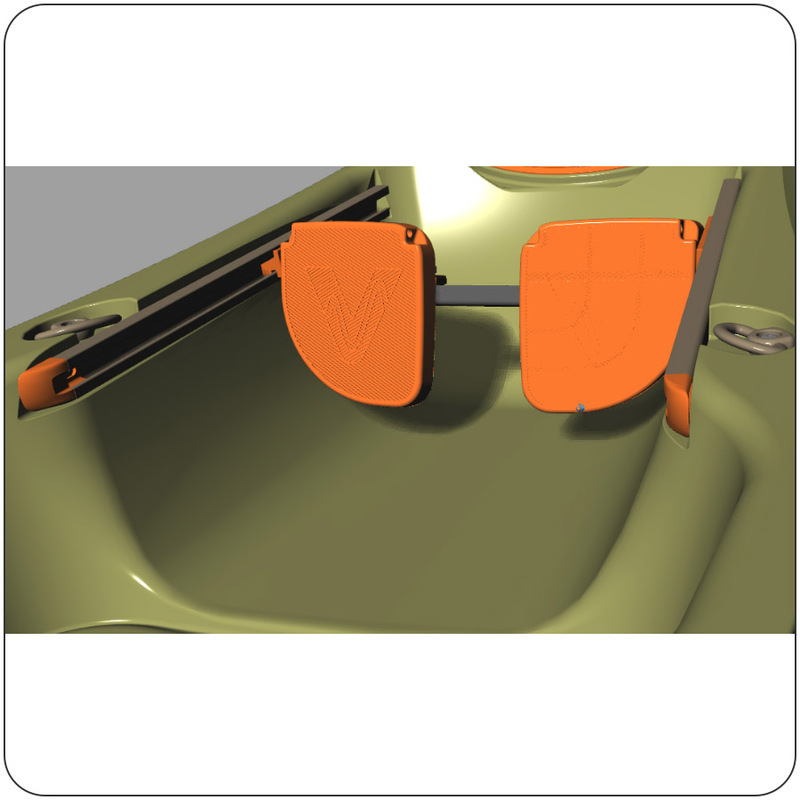 All in all, this is a great system that will be used on all our sit-on-top kayaks. It was designed to be robust enough for our whitewater sit-on-top (the Usutu) too, so you can be sure that it will stand up to serious abuse.